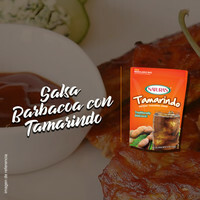 The delicious Tamarind flavor in an incredible BBQ sauce recipe, perfect for ribs, tacos and many more delicious meals! Add Apple vinegar, molasses, sugar and ginger. Mix well. Use it with your favorite dishes like ribs, tacos, etc.